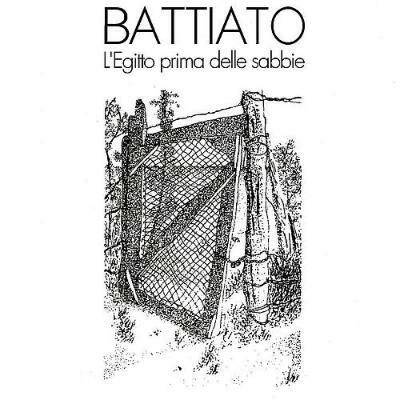 Franco Battiato is a big pop star in Italy now. He was kind of a prog rock character in the 70s and he was heavily influenced by Stockhausen. I think they met and Stockhausen encouraged him to do things on the piano. Similar to Feldman's Crippled Symmetry you can endlessly listen to this record. It has all the intensity he brings as a singer-songwriter but it's on a totally abstract level. He triggers sequences and then stops them again. He uses the reverb of the piano pedals by keeping them pressed and creating whooshes of sound. The music has spectral qualities, but you can always hear what he's doing. It's very precise and open. There are no tricks, or effects or secret little things going on. The way he's using the instrument is super careful and exact and at the same time casual and easygoing. It's pop, it's experimental and it's academic. It also has the sound quality of electro-acoustic music. It's very dry and at the same time it has this depth to it that can only be achieved by certain movements that are so perfectly absurd you'd never be able to crack the code of why it had been made that way. Not even the NSA or Apple or Microsoft or any government will crack it. It comes from a creative organ somewhere in the body. We might think it's the brain but it probably isn't, hence why we haven't found it, but whatever it is, he's using it to perfection. Everything on that record is totally random and yet so perfect that you couldn't compose it any better.